The innocence of Eden was the source for the River of Life in the biblical record. Amid the tropical foliage, a rock formation hints at the ultimate source of the Garden's life. For more detailed view, click on links within painting. 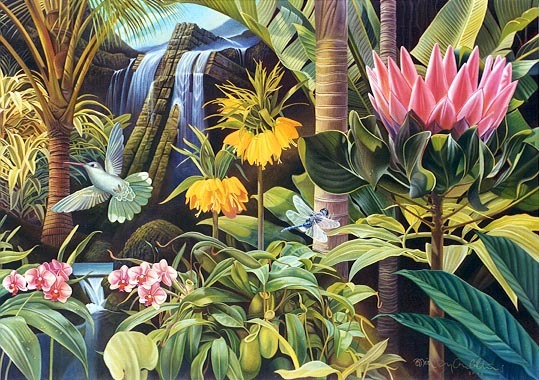 The original 50" X 34" painting is available for sale as are giclee reproductions. Contact the artist for sales information.